Last month the foundation held a “test marathon” for the software, followed soon afterwards by the appearance of a second beta release. 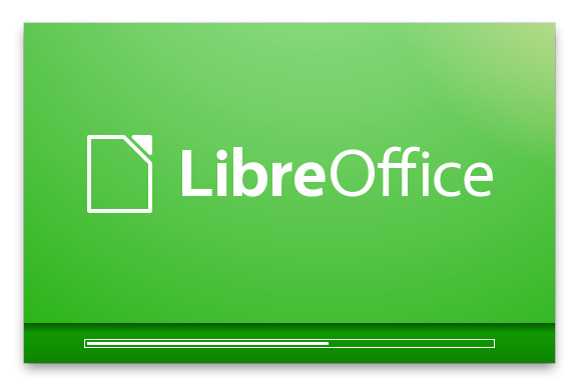 After two more release candidates in the coming weeks, LibreOffice 4.0 is due to arrive in its final form next month. In the meantime, there's nothing like a release candidate for offering a sneak preview. Ready for a quick peek? Here are a few key features we can expect. 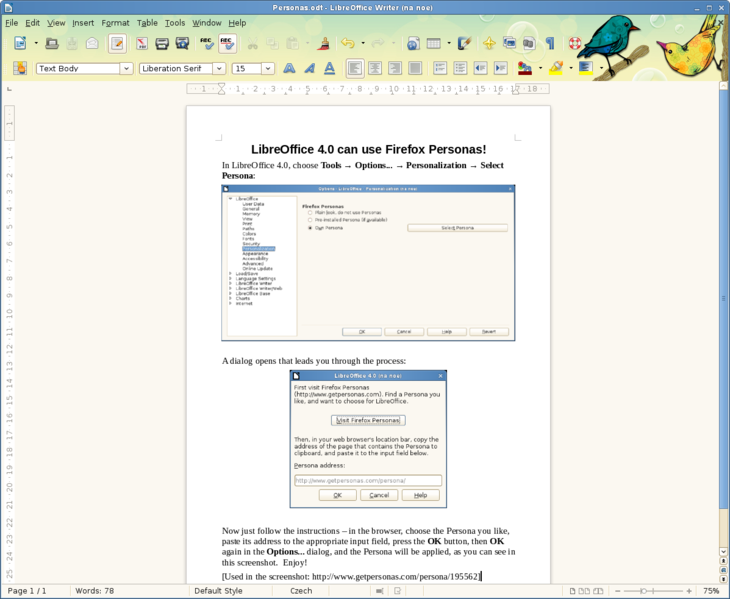 Firefox fans will notice a new level of integration between LibreOffice and their favorite browser. Specifically, in this upcoming version of LibreOffice, you'll be able to choose “Tools,” “Options,” “Personalization,” and then “Select Persona.” From there, you can choose the theme you like in your browser, paste its address into a dialog box, confirm, and then see it used in LibreOffice, as shown below. Users of Canonical's Ubuntu Linux distribution, meanwhile, will find new integration with that distro's Unity desktop environment. New support for the Content Management Interoperability Services (CMIS) protocol, on the other hand, will make it easier to access documents stored in systems including Alfresco, Nuxeo, and SharePoint, the project team says. For users of Debian and Ubuntu Linux, a new Mork driver implementation will offer access to the address book in Mozilla's Thunderbird email software. “This means that Debian/Ubuntu users can finally integrate LO with their Thunderbird address book,” the release notes explain. Then there's the new import filter for Microsoft Publisher files, allowing them to appear in LibreOffice much the way they do in Publisher. LibreOffice 4.0 also now supports all existing Visio file formats, from Visio 1.0—released in 1992—through Microsoft Visio 2013, which was released last year. Last but not least, loading and saving multiple types of files has been sped up considerably in LibreOffice 4.0, including those in .ods and .rtf formats. There are also myriad improvements in each of LibreOffice's individual components as well as countless bug fixes. This first release candidate is not intended for production use, of course, but if you want to check it out, it's available as a free download from the project site.